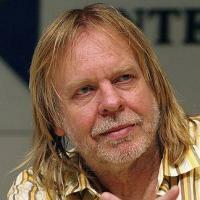 See the gallery for quotes by Rick Wakeman. You can to use those 7 images of quotes as a desktop wallpapers. My faith is very private to me. It plays an important part in my life, but I do not try and throw my beliefs at others. I have tremendous respect for all faiths and beliefs, but have a deep concern that religion and faith are currently a long way apart from each other. When I die, I'll probably climb out of the coffin and play the organ at my own funeral! Actually, I only left twice. I left then, and then rejoined literally two years later for Going For The One. Coming back to Yes is like never having left. Even when I have not been in the band, I have always felt part of it. I was born in 1949 - which seems like a long time ago... Actually, it is a long time ago, when I think about it. I'm always writing or playing because that is my life. I've been married three times and divorced three times. My life revolves around music and always will. I need to be a part of music and not an observer. The studio is not the place to write. You need to be 75% ready when you go into the studio, and then the music can develop to the next stage. As a songwriter, I was influenced by David Bowie - a great writer. A class above everybody in so many ways. Lennon and McCartney, of course. Class stuff. David Cousins was my favorite lyricist. 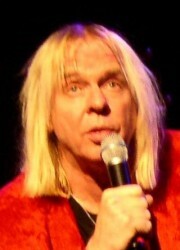 But I listen to live recordings of things that I did back in the '70s and then how I've done things since. And there's no doubt about it: if I compare the two, it's like chalk and cheese. But I'd play on everything from pop records to a lot of the glam stuff to rock stuff to classical stuff. I used to get called to do all those things, it was great. Country and western is the music of the devil. That's the real truth of the matter. My late Mother, bless her, loved country and western. God, I couldn't handle it. Even the two times that I left, I never really felt like I left the band. It's very bizarre. It's like there's sort of an umbilical cord that stretches between us spiritually. I always say that it's about breaking the rules. But the secret of breaking rules in a way that works is understanding what the rules are in the first place. I like Toronto a lot, it's a good city. The only thing that really annoys me about Toronto is that you're turning Maple Leaf Gardens into a grocery store, which is absolutely nothing short of disgusting. My earliest professional musical experiences were really as a session player, and every day was an adventure. Three sessions a day, every day, and you never knew who you would be working with until you arrived at the studio. So, I've never been politically correct, even before that term was available to us, and I have really identified with other people who don't want to be read as just a black poet, or just a woman poet, or just someone who represents a cause, an anti-Vietnam war poet. I think that's what poetry does. It allows people to come together and identify with a common thing that is outside of themselves, but which they identify with from the interior. American poetry, like American painting, is always personal with an emphasis on the individuality of the poet. American poets celebrate their bodies, very specifically, as Whitman did. 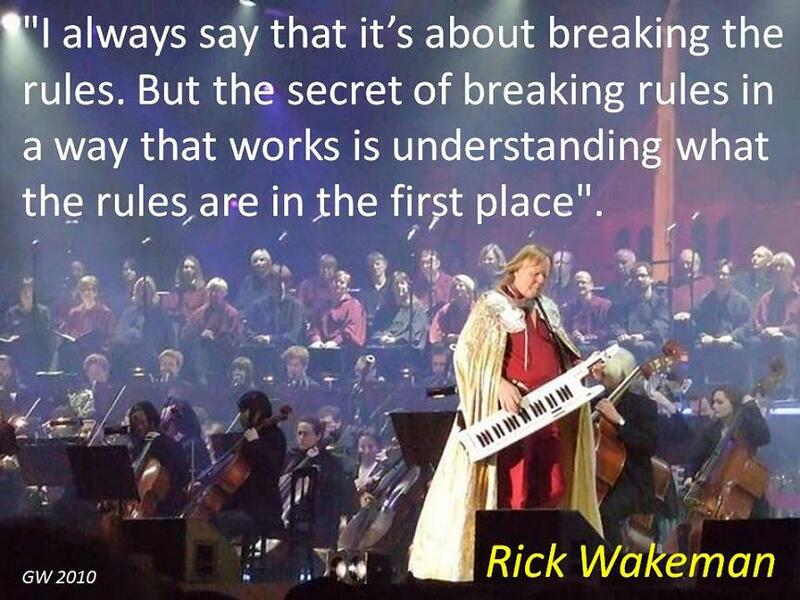 Much more quotes by Rick Wakeman below the page. But I am not political in the current events sense, and I have never wanted anyone to read my poetry that way. High and low culture come together in all Post Modern art, and American poetry is not excluded from this. I am not political as a person. Sometimes the archaism of the language when it's spoken is why we are all in love with the Irish today. Still, language is resilient, and poetry when it is pressured simply goes underground. Because, in fact, women, feminists, do read my poetry, and they read it often with the power of their political interpretation. I don't care; that's what poetry is supposed to do. Distinctly American poetry is usually written in the context of one's geographic landscape, sometimes out of one's cultural myths, and often with reference to gender and race or ethnic origins. I do not read newspapers. I do not watch television. I am not interested in current events, although I will occasionally discuss them if other people want to discuss them. I don't like political poetry, and I don't write it. If this question was pointing towards that, I think it is missing the point of the American tradition, which is always apolitical, even when the poetry comes out of politically active writers. I have always wanted what I have now come to call the voice of personal narrative. That has always been the appealing voice in poetry. It started for me lyrically in Shakespeare's sonnets. I think I'm a very good reader of poetry, but obviously, like everybody, I have a set of criteria for reading poems, and I'm not shy about presenting them, so if people ask for my critical response to a poem, I tell them what works and why, and what doesn't work and why. I'm passing on a tradition of which I am part. There's a long line of poets who went before me, and I'm another one, and I'm hoping to pass that on to other younger, or newer, poets than myself. I'm perfectly happy when I look out at an audience and it's all women. I always think it's kind of odd, but then, more women than men, I think, read and write poetry. One, I have a wonderful publisher, Black Sparrow Press; as long as they exist, they will keep me in print. And they claim they sell very respectable numbers of my books, so I guess, and it's true, every place I go, my books are in libraries and on bookshelves. Other people have noticed more of an evolution than I have and so I'll try to tell you where I'm coming from and also relate it to what I think other people perceive. PC stuff just lowers the general acceptance of good work and replaces it with bogus poetry that celebrates values that in themselves are probably quite worthy.